Fox has set the premiere dates for its new and returning series during the 2017-2018 fall season. 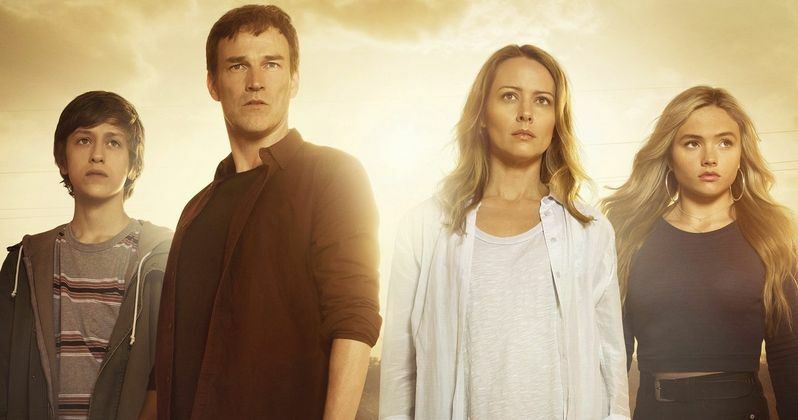 The Gifted, the new family adventure series, produced in association with Marvel Television, launches Monday, Oct. 2 (9:00-10:00 PM ET/PT), following the return of Lucifer (8:00-9:00 PM ET/PT). New comedic drama The Orville, from creator and executive producer Seth MacFarlane and director Jon Favreau, debuts with a special two-night series premiere on Sunday, Sept. 10 (8:00-9:00 PM ET/PT) and Sunday, Sept. 17 (8:00-9:00 PM ET/PT), immediately following NFL On Fox doubleheaders. The Orville will then make its time period premiere on Thursday, Sept. 28 (9:00-10:00 PM ET/PT), following Gotham's Season Four return (8:00-9:00 PM ET/PT). The new buddy comedy Ghosted, starring Craig Robinson and Adam Scott, premieres Oct. 1 (8:30-9:00 PM ET/PT), during a Sunday night of premieres, including Bob's Burgers (7:30-8:00 PM ET/PT), The Simpsons (8:00-8:30 PM ET/PT), Family Guy (9:00-9:30 PM ET/PT) and Last man on Earth (9:30-10:00 PM ET/PT). Leathan Weapon Season Two leads off Tuesdays, beginning Sept. 26 (8:00-9:00 PM ET/PT), followed by the season premieres of The Mick (9:00-9:30 PM ET/PT) and Brooklyn Nine-Nine (9:30-10:00 PM ET/PT). Empire (8:00-9:00 PM ET/PT) and Star (9:00-10:00 PM ET/PT) join forces on an epic night of music and drama, beginning Wednesday, Sept. 27. Friday, Sept. 29 sees the returns of Hell's Kitchen (8:00-9:00 PM ET/PT) and The Exorcist (9:00-10:00 PM ET/PT). New Fox shows 9-1-1, The Resident and LA to Vegas will debut in mid-season. The Gifted tells the emotional story of a suburban couple whose ordinary lives are rocked by the sudden discovery that their children possess mutant powers. Forced to go on the run from a hostile government, the family seeks help from an underground network of mutants and must fight to survive. Set within the X-Men universe, the series stars Stephen Moyer (Shots Fired, True Blood), Amy Acker (Person of Interest), Natalie Alyn Lind (Gotham) and Percy Hynes White (Night at the Museum 3) as the Strucker family. Also featured in the series are Sean Teale (Reign) as Eclipse/Marco Diaz; Jamie Chung (Gotham) as Blink/Clarice Ferguson; Emma Dumont (Aquarius) as Polaris/Lorna Dane; Blair Redford (Satisfaction) as Thunderbird/John Proudstar; and Coby Bell (Burn Notice) as Sentinel Services Agent Jace Turner. The series is written by Matt Nix (Burn Notice), directed by Bryan Singer (the X-Men franchise") and executive-produced by Nix, Singer, Lauren Shuler Donner and Simon Kinberg (X-Men: Apocalypse, X-Men: Days of Future Past) and Marvel's Jeph Loeb and Jim Chory. From Emmy Award-winning executive producer and creator Seth MacFarlane (Family Guy, Ted) and director Jon Favreau (The Jungle Book, Iron Man), The Orville is a live-action, one-hour series set 400 years in the future that follows the adventures of The Orville, a mid-level exploratory spaceship. Its crew, both human and alien, face the wonders and dangers of outer space, while also dealing with the familiar, often humorous problems of everyday life. The series stars MacFarlane as Ed Mercer, the ship's Commanding Officer, and Adrianne Palicki (Agents of S.H.I.E.L.D., Friday Night Lights) as his ex-wife, Kelly Grayson, who's assigned as his First Officer. The series also stars Penny Johnson Jerald as Claire Finn, Scott Grimes as Gordon Malloy, Peter Macon as Bortus, Halston Sage as Alara Kitan, J. Lee as John Lamarr, Mark Jackson as Isaac, Chad Coleman as Klyden and Norm Macdonald as Yaphit. Seth MacFarlane, Brannon Braga, David A. Goodman, Jason Clark and Liz Heldens are executive producers. Jon Favreau serves as an executive producer and directed the pilot.